CBS News recently aired a story Copy Machines, a Security Risk?, which reveals that a large number of photocopiers are resold and that they contain hard disks that have sucked in and stored images of the copies made by its former owner. It's actually a pretty scary story for anyone that has copied anything that they might not want the world to know about. I wonder how many people recently have copied this year's tax return? Or perhaps your tax preparer made a copy on a machine that has been resold? 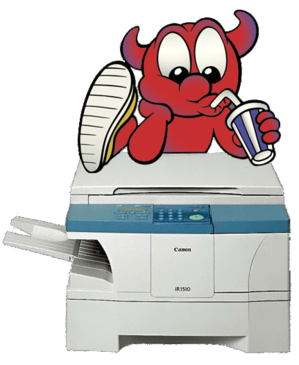 Just think about all of things that might be stored on copiers at your local Kinkos. Steve Gibson, author of the venerable hard disk scanning and recovery application SpinRite, discusses this revelation along with other security-related news in a recent episode of Security Now. While much of this risk, sadly, is outside of our control, this might be a good time to download Eraser or Darik's Boot And Nuke. This page is an archive of recent entries in the Security category. Usability is the next category.